According to the Internet source given below, Johnny Handle founded the Folksong and Ballad Club in Newcastle's Bridge Hotel with Louis Killen in 1958. He's recorded many albums, both with the The High Level Ranters and as a solo musician and singer. 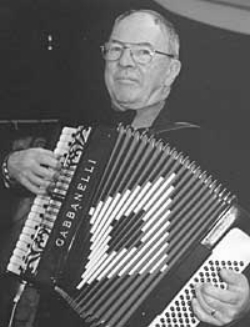 He plays accordion, keyboards, banjo, whistle and the Northumbrian pipes.